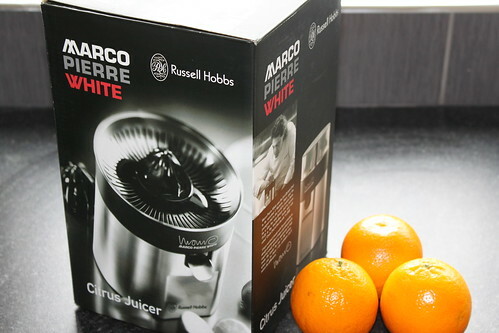 The Marco Pierre White Citrus Juicer by Russell Hobbs is an attractive, brushed steel appliance for extracting juice from citrus fruits like oranges, lemons, limes and grapefruits. 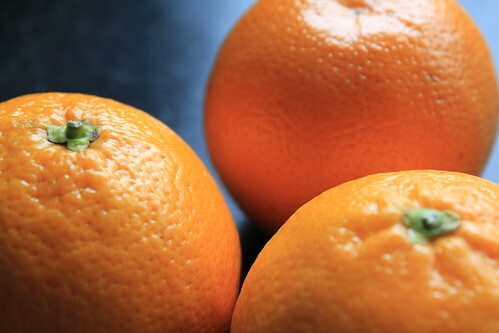 It comes with two cones - one large, one small - for juicing fruits of different sizes. 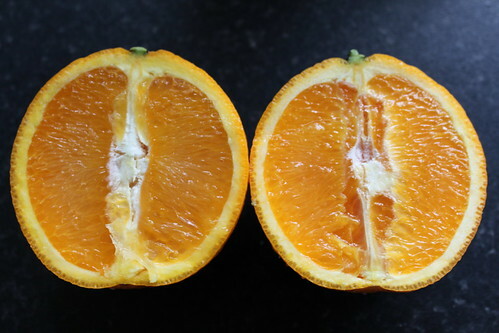 Simple slice your fruit and place down on the reamer. The motor starts up and the cones spins, emptying the fruit of its juice which runs down inside and then comes out of the drip free shout into your waiting glass or jug. 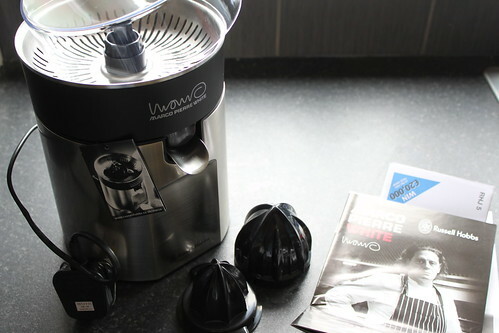 The device seems to be larger than you would think a citrus juicer needs to be, but it works well and is an attractive addition to a modern kitchen. I am very happy with this product. 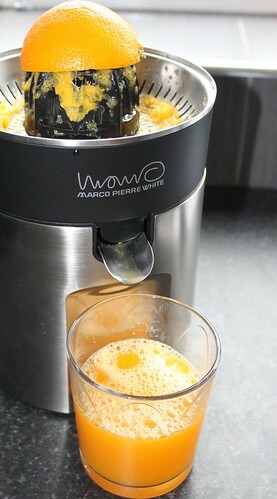 I was looking for a powerful citrus extrator for some time and this one is the best I have seen and had in my kitchen by far. The design is slick and it could not be easier to clean. It does a superb job without any waiste. Only one thing missing, a jug, but easily improvised.